If you’ve been waiting for an office suite to debut on the iPhone and iPod touch, Quickoffice would like to talk to you. As a decade-long provider of office suites for virtually every significant mobile platform from Palm, to BlackBerry, and even Android, Quickoffice has been around the productivity block. 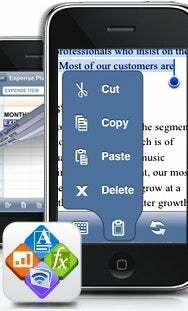 Now the company beat Microsoft to the iPhone OS punch with a mobile office suite that can edit Word and Excel files. Macworld spoke with David Halpin, VP of Engineer and Product Development about debuting on an Apple platform, an App Store mixup, and what features will soon get off the drawing board. Quickoffice is priced comfortably at $20, between older brothers like Quickoffice for Symbian OS, which is more fully featured at $39 (it includes PowerPoint editing), and a version for Android, which offers viewing files—but not editing—for $13. For its initial release, Quickoffice for iPhone supports editing and viewing Word and Excel files from Windows Office versions ‘97 through 2003, as well as viewing files saved in the latest Office 2007 format. On the Mac side, Quickoffice should be able to edit and view files from Office v.X through 2004, and view Office 2008 files. Editing the new Windows Office 2007 format, which Mac Office 2008 saves to by default, will arrive in a future update. There are a slew of other features too, including text formatting, landscape keyboard support, viewing iWork ‘08 files, and over 125 spreadsheet functions and advanced formulas. It also includes one killer feature of Apple’s forthcoming iPhone OS 3.0 update: copy and paste. “We developed the tools and UI ourselves,” Halpin explained. 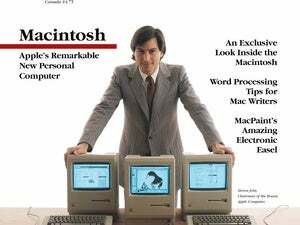 “We had it working, we showed Apple, and then we tweaked ours to maintain consistency once we saw iPhone OS 3.0.” Halpin didn’t seem worried that Apple might have been inspired by the Quickoffice feature, though he also says that this suite will be updated to use Apple’s tools once the 3.0 OS update ships. The platform is “just amazing. Apple really understands development,” Halpin continued, explaining that even Quickoffice’s developers who work on Android, Google’s open-source mobile phone OS, demand to code on Macs. Even after all these years, “thorough documentation and community is still harder to find on other platforms than it is for Mac OS X and iPhone OS,” Halpin said. There has been some confusion on Quickoffice’s road to the App Store. In October 2008, the company began shipping a file-browsing and storage utility called MobileFiles: users could browse their MobileMe iDisks or move files over from a Mac or PC. Then the company's MobileFiles Pro appeared, featuring the ability to edit Excel 2003 files. For a while, App Store customers were under the impression that Word editing was on its way to MobileFiles Pro. But Halpin said this was a misunderstanding, and that Quickoffice never directly stated that the feature was coming to that app. A number of upset customer comments and reviews on Quicksheet (MobileFiles Pro's new moniker), however, disagree. Regardless, Quickoffice’s App Store product line is now much clearer. Quickoffice for iPhone is the all-inclusive office suite, while Quicksheet provides stand-alone editing and viewing for Excel files, and Quickword (debuting later this month) will do the same for Word documents. Quickoffice Files remains as a cheap, simple file viewer and transfer utility, leaving Quickoffice to be priced as a money-saving bundle of all three apps. Halpin would not share any App Store sales numbers, but he was happy to reveal a few Quickoffice features that are on their way. ”We have quite a bit planned, with a large team working just on the iPhone, and a core team that works on the technologies that we push to all of our supported platforms.“ One of the most requested features—e-mailing files from within Quickoffice and its sister apps—should arrive within a week. Mounting an iPhone or iPod touch as a wireless drive for transferring files more easily is also coming, as are more formatting options, search and replace, and, of course, PowerPoint support. Even more interestingly, Halpin shared that Quickoffice should soon gain more powerful sync features and integration with more online services besides MobileMe. The company is working on true, automatic sync of file changes between a desktop and an i-device, and the capability to tie into file storage services like Box.net and even Apple’s iWork.com beta, are also in the works. Quickoffice’s arrival on iPhone OS may have filled in the final checkbox on many a potential iPhone shopper’s gotta-have-it lists, despite a $20 price tag that places it on the higher end of the App Store price scale. Then again, we’re talking about getting real work done, not novelty fart utilities and single-serving games. We’ll have to wait and see if Quickoffice becomes a holy grail that entices productivity users and businesses into taking a another look at the iPhone.